A middle school math teacher on how to make real-world math connections during field trips and interdisciplinary projects. The math team at my school never lets an activity or event—from morning assemblies to field trips—pass without highlighting important or interesting mathematical connections. Few if any of these events were intended to serve the math curriculum, but we find ways to make it work. Morning assemblies, for example, can be a good time for a continuing program of quick creativity boosters. There are many possible themes: Important Historical Problems and Their Current Applications, Logic Puzzles and Riddles, and Counterintuitive Problems. A program like this can be run by a group of teachers or students. If your school has one, your Math Club can select the problems, or the winners of one round can be asked to present the next problem. In short, this can be as fun and creative as the people envisioning it. We also try to integrate some mathematics in field trips the students take for other subject areas. 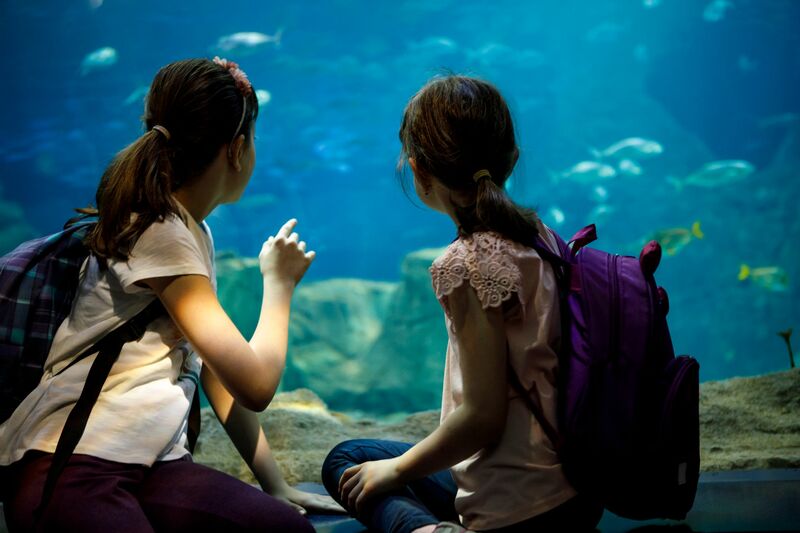 For example, a trip to an aquarium can incorporate estimation problems regarding the size of a particular pool, the amount of money made by the aquarium per day in ticket sales, and the ratios between the (linear) dimensions of various animals. A trip to an art museum is a chance to ask students to recognize and name 2D and 3D figures in different parts of the building and in paintings, to calculate surface areas and volumes, and so on. My school has another very important way to make mathematical connections to other content: We set aside time each year for students to focus on a particular topic and draw connections between various subjects, using the resources we have in the school and in the surrounding area. Often driven by the language arts or social studies curriculum, these days are experiences that are intended to deepen students’ understanding of a topic—they are open-ended and can be highly interdisciplinary. Although not all schools set aside time this way, you may be able to work with a teacher or teachers in different subjects to give students an interdisciplinary view of a topic. In this kind of inquiry-based, integrative work, the students may listen to a speaker or watch a video or take a field trip to frame the essential question and then, working in groups, follow a series of rotations that tackle the issue from different angles. In our school, each rotation takes one class period—50 to 60 minutes—but the lengths of the lessons discussed here can be adjusted to whatever schedule works for your school and your team. The mathematical content of these lessons is very rich and not usually studied in the regular curriculum because these are mostly topics of discrete mathematics, so you can create and use conceptual material and activities and adjust your goals to fit the time available. When we organize these interdisciplinary events at my school, we make sure there’s always a math-centered rotation. For example, during a day of studies about civil rights, we talked about various voting systems. Students were fascinated to learn that there are several, and that none are perfect—see Arrow’s impossibility theorem. In the same lesson, they played the Redistricting Game, which explores how changes to electoral maps can impact the outcomes of elections. As part of an interdisciplinary exercise on indigenous Central and South American civilizations, we studied the Mayan and Aztec numerical systems to gain a deeper understanding of the Hindu-Arabic number system that we use, and then moved on to look at the binary system used in computers. And on a day devoted to the Golden Age of Islam, we learned how quadratic equations were approached historically, and solved by Arab mathematicians by generalizing the completing-the-square method. After representing the method analytically and geometrically, we figured out how the quadratic formula came to be, which gave the students a much better grasp of it. Our next interdisciplinary exercise will be based on the documentary Promises as the students are studying the Middle East—the film is about the Israeli-Palestinian conflict. The history teachers will underline the topics of community building, land distribution, conflict resolution, biases, and segregation. One of the social studies teachers accepted the math team’s suggestion to have students spend part of her rotation playing the Parable of the Polygons, a simple online game that shows how seemingly harmless choices by individuals can lead to institutional bias. The game is based on the work of Nobel Prize–winning game theorist Thomas Schelling, so the math team will present a lesson on Schelling and John Nash—the subject of the film A Beautiful Mind—and their work on game theory, the Prisoner’s Dilemma, and the evolution of trust. Promises documents the intertwined lives of Israeli and Palestinian children, and a social studies teacher and a math teacher will use another rotation to discuss fair division—a topic of discrete mathematics that’s hardly ever taught in the regular school curriculum, even though it’s very useful in real life. These kinds of interdisciplinary exercises show students in a concrete way that mathematics is a tool they can use to quantitatively understand the world around them.